Leave cares behind---relax by the beautiful blue waters. Swim, boat, fish, play tennis or golf under majestic skies. Just be lazy in the sun with a good book. Family time is vacation time, and they offer something for everyone of all ages. They invite you to experience their cozy and comfortable housekeeping units and their warm hospitality spring, summer or fall. 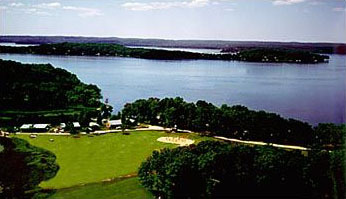 Gull Lake Resort is situated on famous Gull Lake, considered the premiere lake in the state of Minnesota. Gull is fifteen miles long and is ideal for swimming, May to September and is also excellent for water skiing, boating, or sailing. Gull Lake Resort is centrally located between Brainerd and Nisswa (ten miles) and is convenient to many attractions, casual eating places or fine dining, horseback riding, and a Federal dam with Indian Burial grounds. They have ample space to either dock or beach your boat, a free boat landing and plenty of space to park your boat trailer. They rent outboard motors, aluminum boats, kayaks, pontoon boats, paddleboats, canoe, boat accessories and fun toys. The resort consists of fifteen level, well-groomed acres plus almost forty acres of natural woodland. The beach is safe and sandy with a slide and swimming area. They have tennis, basketball and volleyball courts, playground equipment, and a recreational field.